Nevadans are devoted to their pets, which means countless locally-owned pet shops that will make your four-legged friend feel special. 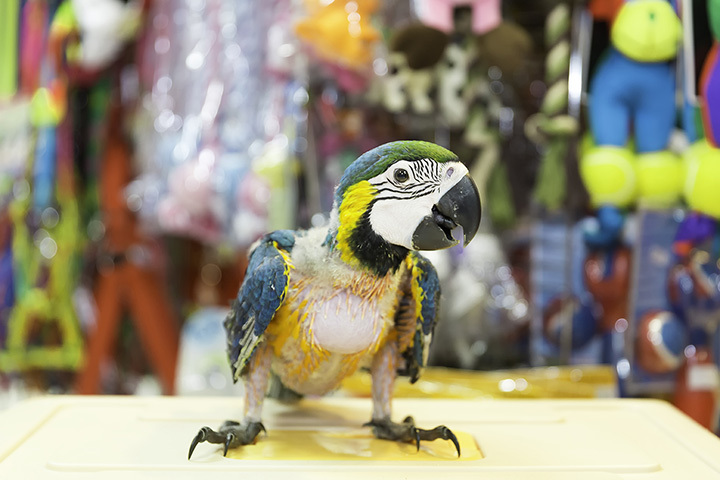 From pet stores with organic and holistic products to all of the toys your little furry companion could dream about, here are the 10 best pet stores in Nevada. Scraps Dog Company has two locations in Reno, Nevada, and one in Sparks. They specialize in animal nutrition, with various foods and diet supplements. They also sell a wide range of pet care products. At Your Service Pet Supplies and Grooming offers dog, cat, bird, fish, reptile, and small animal supplies every day of the week. In addition to their wide range of supplies, they have regular animal adoptions and community events. Pet Station is a local pet store chain with locations in Reno, Tahoe, Gardnerville, Sparks, and more. They stock a wide range of dog, cat, bird, small animal, reptile, and aquatic animal supplies and have monthly clinics. Pet Kingdom has been serving Las Vegas since 1980. They specialize in small animals, including ferrets, hedgehogs, sugar gliders, reptiles, birds, puppies, and more. They also offer various grooming options for all kinds of animals. Healthy Tails has two locations in Reno, Nevada. According to their website, their goal is “to carry, as much as possible, organic and holistic products that help your pets live a long, healthy, happy life.” If you’re interested in organic food for your pet, this is your place. Sloppy Kisses provides the pet owners of Henderson, Nevada, with organic and holistic food, grooming services, pet food counseling, and pet supplies. Stop in to check out their frequent close-out specials. Max’s Pet Supplies and Gifts is your one-stop-shop in the Gardnerville, Nevada, area for natural shampoos, vitamins, supplements, food, toys, collars, leashes, beds, and more. Come in and take advantage of their self-service dog wash, too. Any Las Vegas pet shopping trip wouldn’t be complete without at least considering something more exotic. That’s where Exotic Pets comes in. They stock reptiles including pythons, tegus, and other snakes, with new arrivals coming in all the time. Benson’s Feed has been serving the people of Carson City since 1973. They provide pet foods and supplies, as well as horse supplies, including hay, feed, saddles, headstalls, reins, and more. Desert Family Pets sells all manner of reptiles, aquatics, and small mammals While they don’t sell bigger animals, they still offer grooming options for them, and stock a variety of foodstuff.